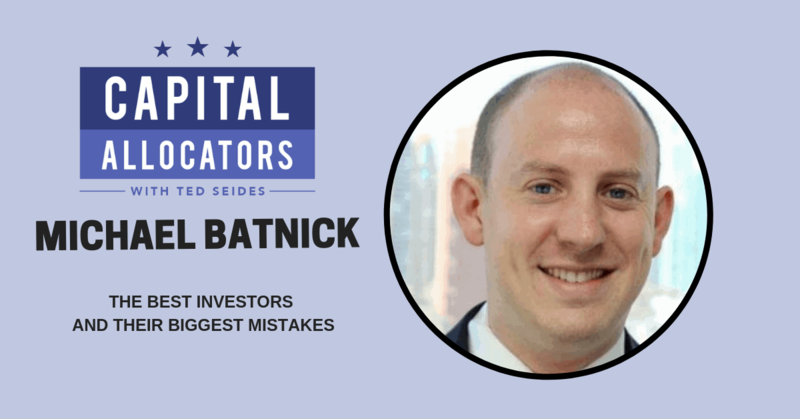 Michael Batnick is the Director of Research at Ritholz Wealth Management, author of the Irrelevant Investor blog, co-host of the Animal Spirits podcast, and recently, author of his first book, Big Mistakes: The Best Investors and Their Worst Investments. Our conversation starts with Michael’s atypical career path, his arrival at Ritholz, and his blog. We then turn to stories from his book about Ben Graham, Jesse Livermore, Jack Bogle, Stan Druckenmiller, John Maynard Keynes, Charlie Munger, and Chris Sacca. Lastly, we discuss how Michael applies the lessons in his book at Ritholz. Michael is a widely followed rising star in financial social media, and our conversation is packed with nuggets of timeless investment wisdom.